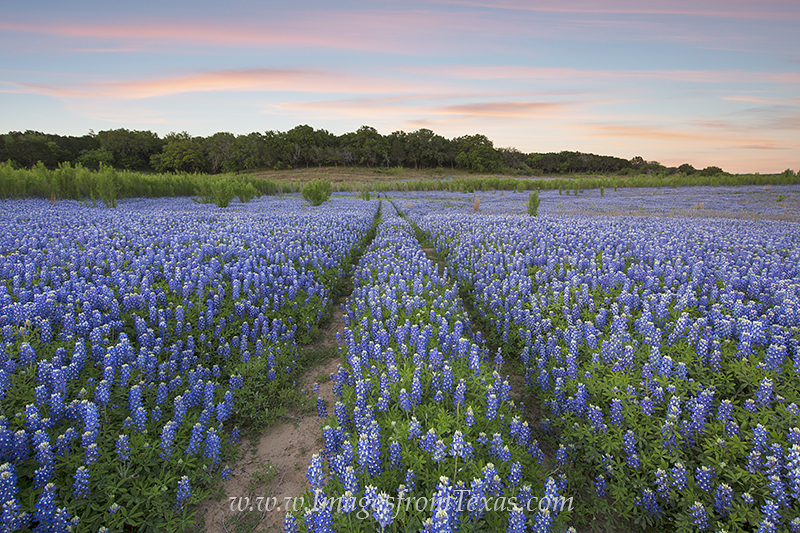 Bluebonnets surround a trail along the Colorado River. This area is usually under water, but a drought exposed this sandy bank for a season and up sprang a lake of these Texas wildflowers. Photo © copyright by Rob Greebon.